I t’s hard to succinctly summarize what happened in New York City’s dining scene in 2017. In past years, some overarching theme has emerged -- fast-casual, for instance, or homestyle Italian. But this past year defied categorization. The eclectic openings ranged from highbrow to low-, representing numerous countries and cuisines, embracing traditions or junking them wholesale. These aren’t the fanciest spots, nor the buzziest (though a couple could easily fit into those categories). Rather, these are the restaurants that captured NYC’s undefinable eating culture in 2017. Most importantly, they’re all worth your time and money, whether you’re chasing the city’s spiciest Thai or marveling at the knife skills of an all-woman kitchen butchering whole animals in-house. Even if you can’t fit 2017 into a tidy category, you’ll have a blast trying. 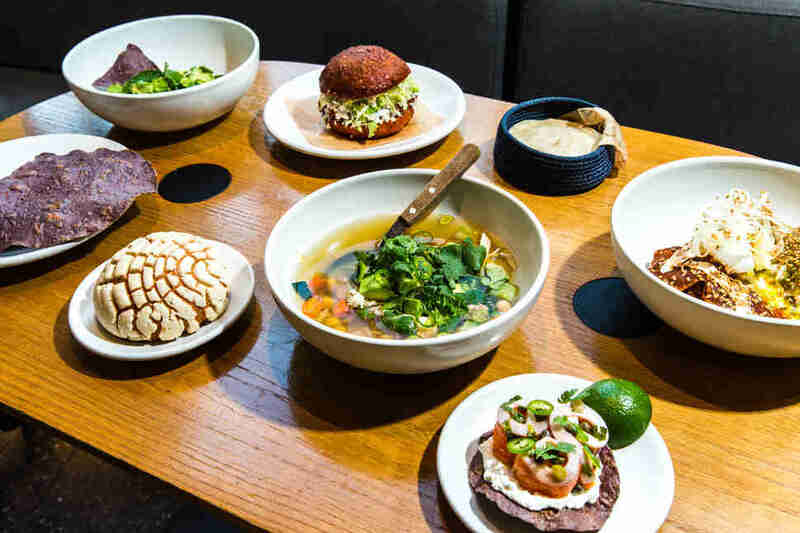 When Cosme opened in 2014, famed Mexico City chef Enrique Olvera and chef de cuisine Daniela Soto-Innes expanded diners’ notions of Mexican food. The duo introduced New Yorkers (and the rest of the country) to elaborate, non-traditional dishes like duck carnitas (a four-day production involving a Mexican Coke marinade) and corn husk meringue, and were met with unwavering praise. In 2017, they opened their second venture: a bright corner spot with enormous windows looking out onto Lafayette. 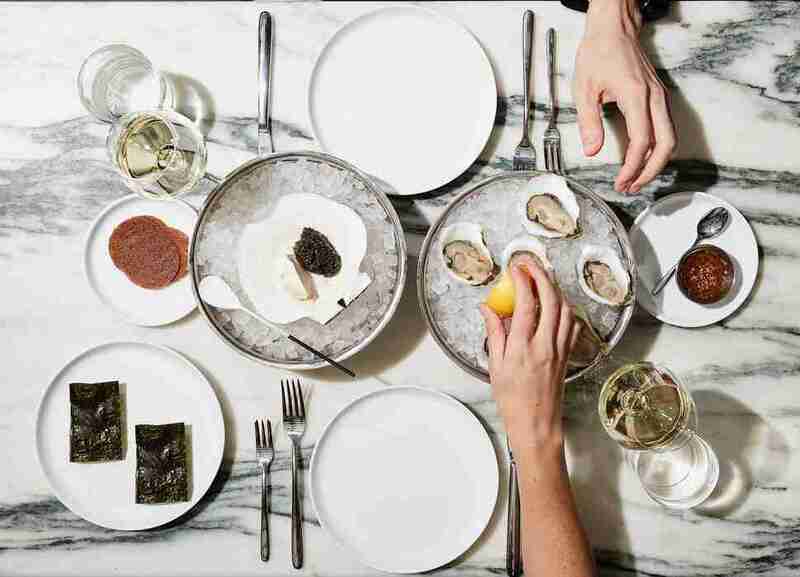 And once again, they broke new ground with Atla -- one of Thrillist's Prime 13 best new restaurants of the year. Atla is the type of place you can wander into when you’re not really sure what you want. Maybe you wind up with a café con leche and chia oatmeal while you type away on your laptop; or chicken enchiladas coated in equally flavorful green or red sauces on a lazy Sunday afternoon; or a post-work overproof margarita and herb guacamole hidden under an enormous chip. It’s health-conscious without being a “healthy restaurant.” It’s breezy, informal, and homey but still sophisticated. Most importantly: it’s just as satisfying as Cosme, at a fraction of the cost. Read more about why Thrillist named Daniela Soto-Innes NYC's best new chef of 2017. The restaurant is sprawling yet intimate -- the perfect complement to a day spent at a museum -- and chef Ignacio Mattos’ food has never been better. Like its downtown sibling, Flora Bar takes familiar upscale Mediterranean-inspired (and here, sometimes Asian-inspired) dishes and turns them on their head. Tuna tartare is studded with sunflower seeds and hijiki (a brown seaweed) and doused in fish sauce. Perfectly tender steak is served with mushrooms and béarnaise. The best item on the menu is a green tomato, basil, and pine nut tart which is surprisingly complex in both taste and texture. You’ll want to order a handful of dishes to share (plus unique wine from the seriously comprehensive list). Your meal won’t be cheap -- but at least admission to the exhibits upstairs are suggestion-based. 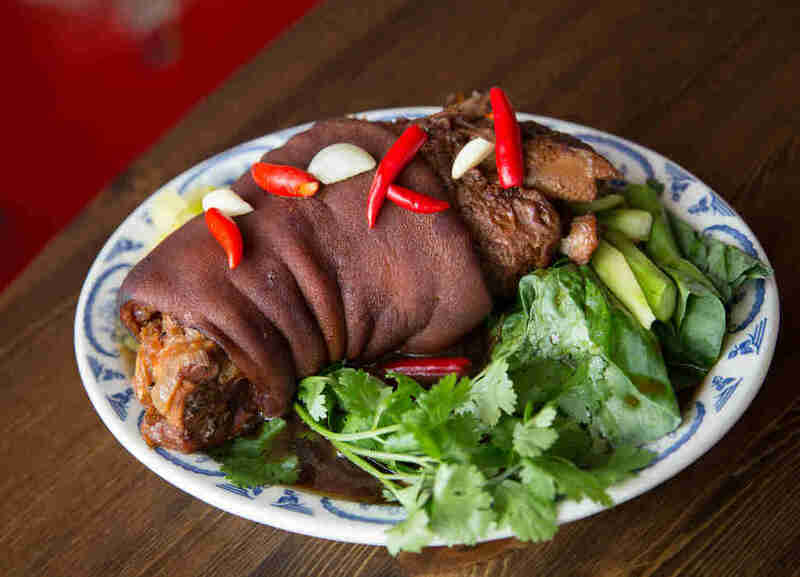 In 2015 an unassuming Thai restaurant in Red Hook, Brooklyn called Kao Soy experienced a dizzying rise and fall: The Times’ Pete Wells gave it an ecstatic review; people lined up around the block to try it; and then, in the same year, it closed. 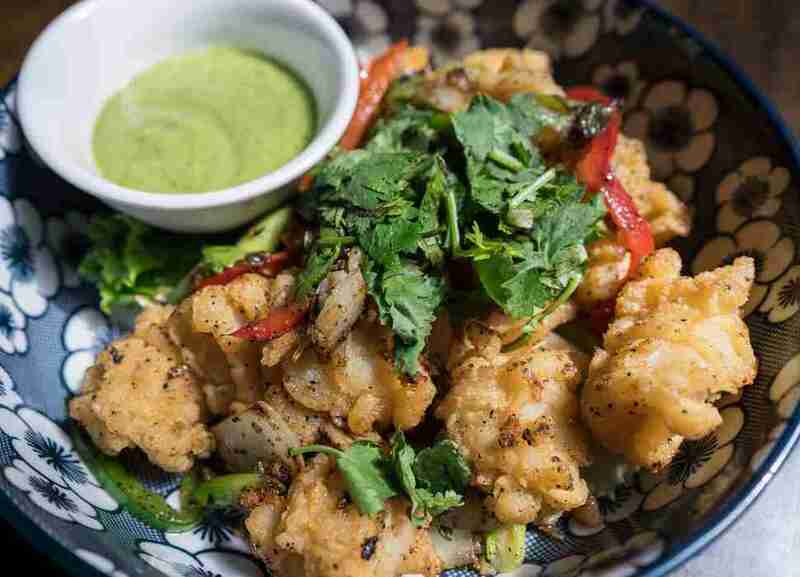 This fall, the team behind the restaurant returned with a 20-seat spot in Carroll Gardens, offering some of the most impressively spicy Thai dishes in the city. Like its predecessor, Ugly Baby is a completely unpretentious spot -- a small, colorful restaurant that’s more about the food than anything else. The menu draws inspiration from several different Thai regions, but serious spice-lovers should pay special attention to the kua kling, a dry shank beef curry from the South which even gets the classification of “brutally spicy” on the menu. It’s not an inaccurate statement -- the dish is loaded with green peppercorns and red chilies -- but somehow the heat doesn’t compromise the rest of the flavors involved, which seems to be overarching theme at Ugly Baby: complex dishes packed with discernible ingredients. 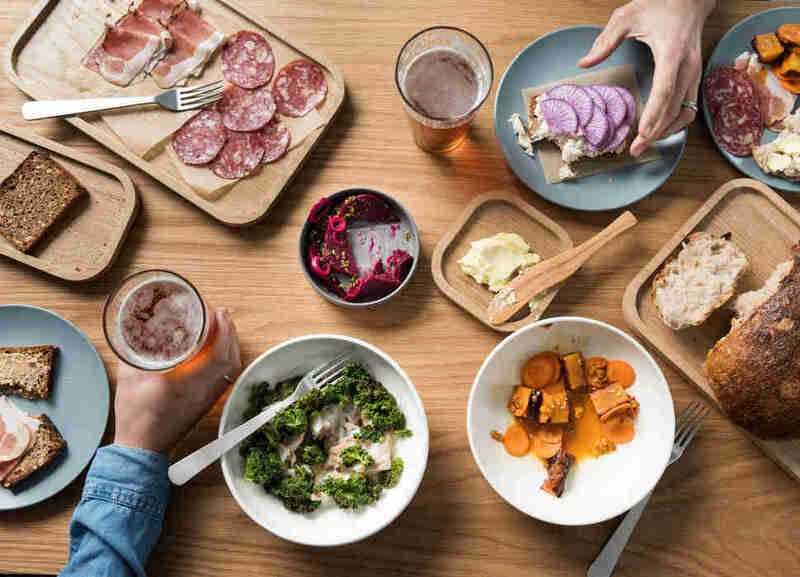 New York’s Nordic food scene has been growing steadily for a number of years now, but 2017 marked one of the most important openings yet: an enormous all-day restaurant/cafe/bakery/bar from two major Scandinavian chefs (Swedish chef Fredrik Berselius of Michelin-starred Aska in Williamsburg and Danish chef Claus Meyer, also responsible for the Great Northern Food Hall in Grand Central). At Norman’s sprawling Greenpoint space (located inside a BMW design studio) you enjoy an early morning pastry and coffee or a dinner made up of sharable fish and vegetable-heavy dishes, all using seasonal, often locally sourced, ingredients. Most importantly, at any hour of the day, you can get bowl of traditional porridge (the type varies for breakfast, lunch, and dinner, but the nighttime red corn variety with pickled green tomato, blue oyster mushrooms, and licorice root is a standout). While good Vietnamese food is typically hard to find in Manhattan, the East Village saw two excellent Vietnamese openings this year: Hanoi House and Madame Vo, both reasonably priced spots featuring intensely flavorful, pho-heavy menus. Of the two, the polished but laid-back Madame Vo stands out for a number of reasons. The first being its Madame Pho, which involves a 24 hour-simmered beef broth, filled with tender brisket, bone marrow, eye of round, meatballs, and the optional (but completely necessary) oxtail. The restaurant also offers an entire menu filled with fun, traditional homestyle comfort food. Come with a group and prepare to order a lot -- starting with small bites like fresh summer rolls, fish sauce-coated chicken wings, and Vietnamese crepes followed by a bowl of pho and a rice dish (opt for the one topped with caramelized, juice-braised spare ribs). Otway is Tilda 2.0 -- the all-women kitchen still churns out Welle’s incredible baked goods (like brioche with bittersweet chocolate and a tarte du jour). 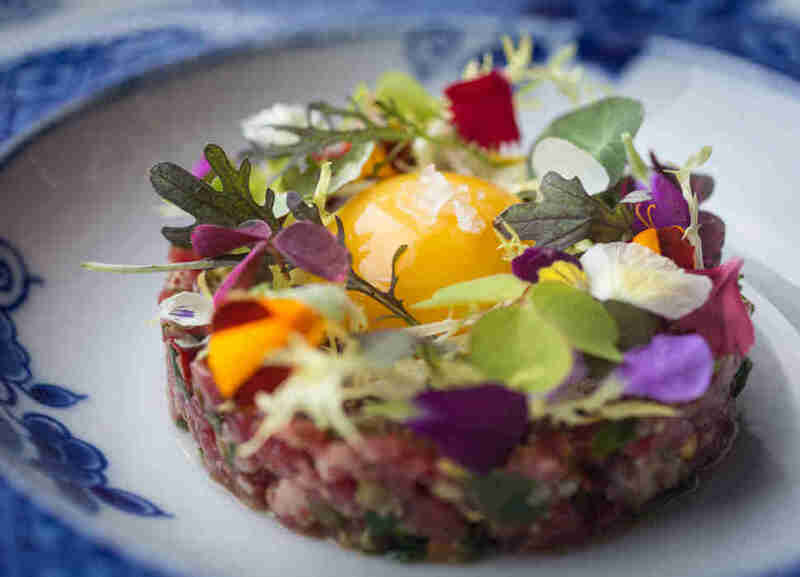 The menu is also made up of wildly impressive -- but still somehow modest -- dishes like raw venison, uni crepes, head-on shrimp, and perfectly cooked lamb breast with marjoram, purple mustard, and squash (Welle butchers whole animals in-house). Even better, the prices err on the side of reasonable, which, when coupled with the crisp white interiors and intimate seating, make it the city’s best new date-night spot. If you have yet to try Sichuan cuisine, let Guan Fu be your point of entry. 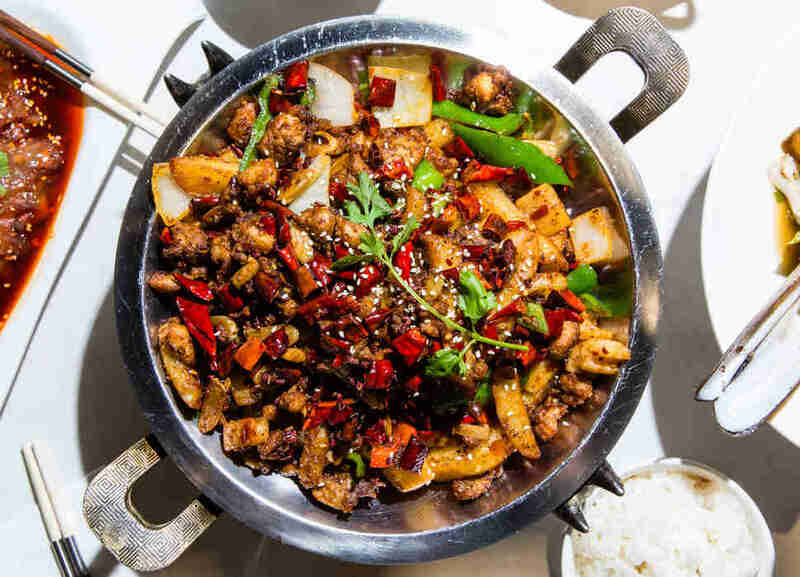 The ornate downtown Flushing restaurant got the three-star Pete Wells treatment earlier this year and has continued to live up to it with huge portions of the notoriously spicy Chinese food. The surest piece of advice for Guan Fu is: Come with a large group. Not just because the plates are sizable, but because you’re going to want to order a lot (big enough crowds can even get a private room). Start off with the cuttlefish and jellyfish salads -- both of which are complex in flavor and texture -- before moving onto dishes like perfectly delicate mapo tofu, wontons in spicy oil, and the pièce de résistance: the enormous whole roasted fish, perfectly cooked and drenched in a spicy sauce with lotus root. For years Alex Stupak has been responsible for some of the city’s most fascinating Mexican food. 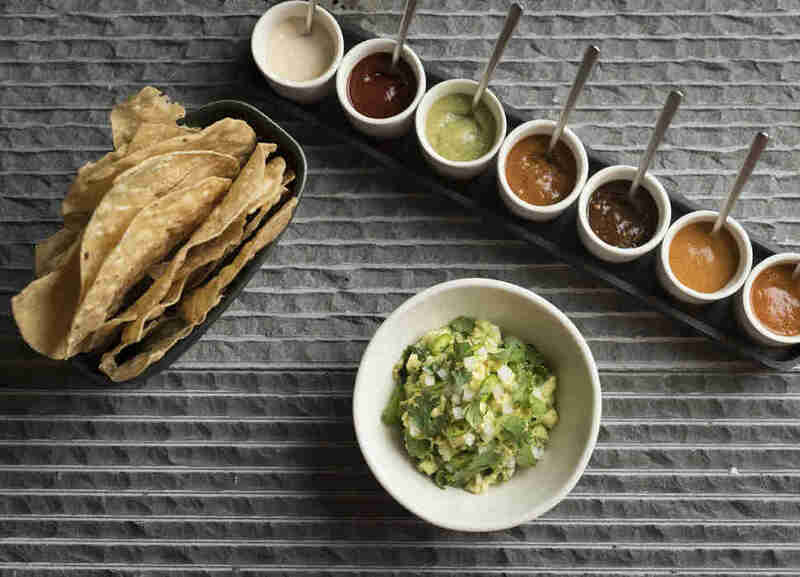 Beginning with Empellón Taqueria in the West Village, Stupak pushed the boundaries of tradition with pastrami and chicken wing tacos that -- as gimmicky as they sound -- were actually some of the most inventive, high-quality tacos in the city. After that came the more laid-back Empellón Al Pastor in Alphabet City. This year, he opened his most impressive project to date: a Midtown flagship, called simply Empellón. 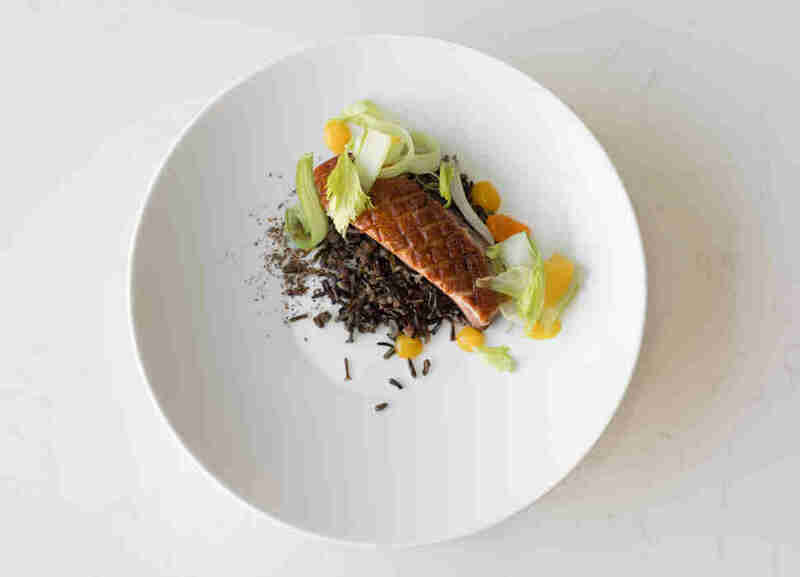 The 8,000-square-foot restaurant is Stupak’s biggest yet, and while the upscale interiors may cater more to the suit-and-tie Midtown crowd, the food is as versatile as its sister restaurants’. You’ll find plenty of out-there taco options -- try a falafel variety with grasshopper hummus or the one filled with fajitas-style wagyu with peppercorn mole. Then order dessert. Prior to entering the taco scene, Stupak was a pastry chef at Wylie Dufresne’s famed wd~50, and his sweets prowess is on full display here. Take specific note of the corn ice cream tacos (which came out of a one-time collab with Cronut master Dominique Ansel) and the dessert simply labeled “avocado,” which looks like a regular avocado on top of crushed ice but is actually a semi-frozen avocado parfait placed inside an airbrushed silicone mold and served with olive oil, eucalyptus, and lemon. Like the tacos, it make seem stunt-y. The execution proves it’s anything but. 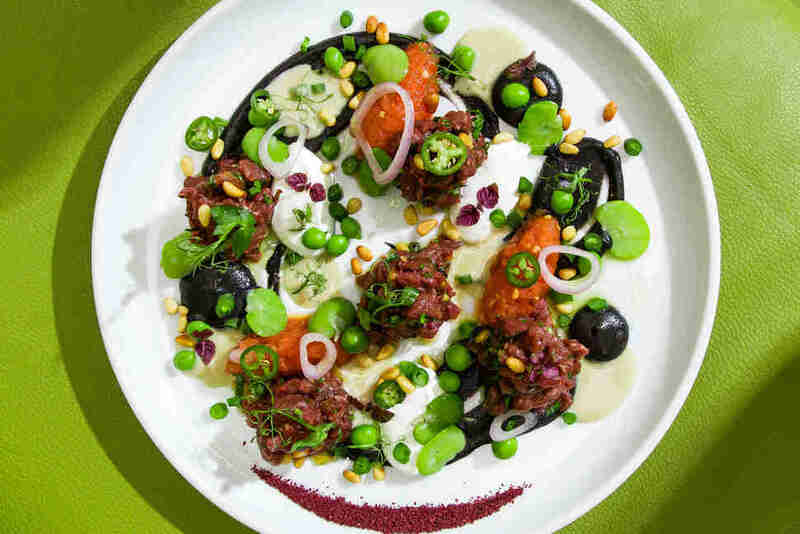 Meir Adoni has cultivated a following in the Israeli dining scene for years, drawing crowds with his modern Middle Eastern cuisine that incorporates flavors from Yemen to Morocco. At the cozy Nur, his first restaurant outside of Tel Aviv, he plays with that same range of flavors, placing a particular emphasis on bread. Your meal should begin with either kubaneh, a soft, traditional Yemenite pull-apart bread, or the sweet and savory honey and garlic challah, before you move on to sharable plates like Palestinian tartare (hand-cut beef, smoked eggplant cream, yogurt, and vegetables), ceviche served with airy panipuri (a cracker-like deep-fried bread) and baharat spiced lamb -- all of which are at once unpretentious and packed with complex texture and flavor. New York has been a hotbed for Korean BBQ for a number of years, but Cote, from the owner of the West Village’s Michelin-starred Piora, introduced the city to something entirely new this year. 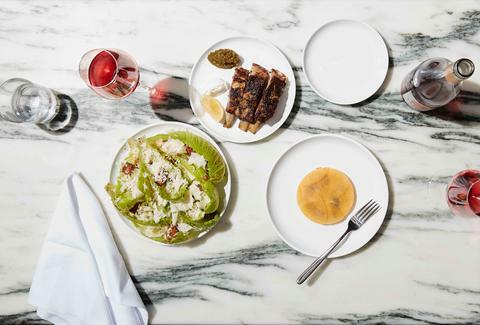 Part-Korean BBQ joint, part-steakhouse, Cote offers dry-aged cuts of meat (the process is done in-house) for diners to cook at fancy marble tables adorned with personal grills. 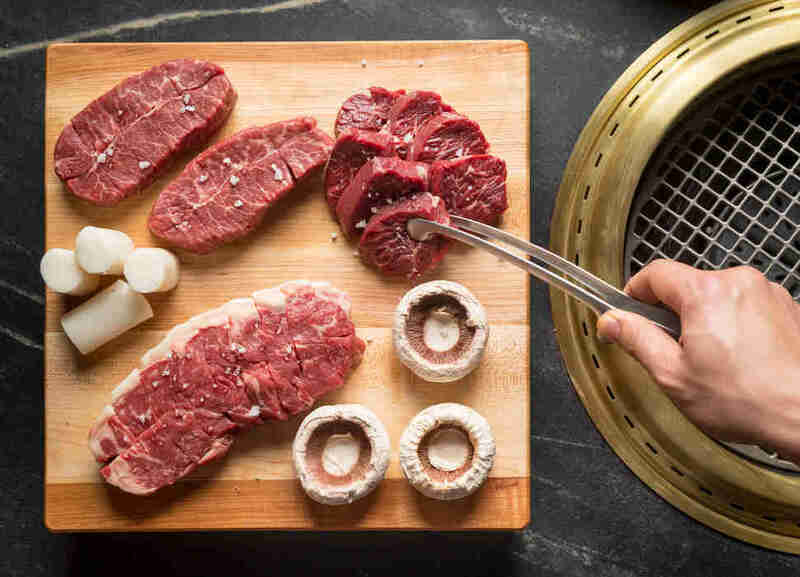 The best deal here is the $45 Butcher’s Feast, which includes four chef’s choice cuts of meat, along with traditional KBBQ accompaniments like kimchi, banchan, and a super-soft egg soufflé. Don’t go to Cote if you’re looking for the more laid-back big-group KBBQ vibe you’ll find in Koreatown and Flushing. Instead, save it for when you’re looking for a truly excellent piece of meat, cooked just how you like it. Miss Ada (a play on misada, the Hebrew word for “restaurant”) pushes the boundaries of Middle Eastern cuisine. 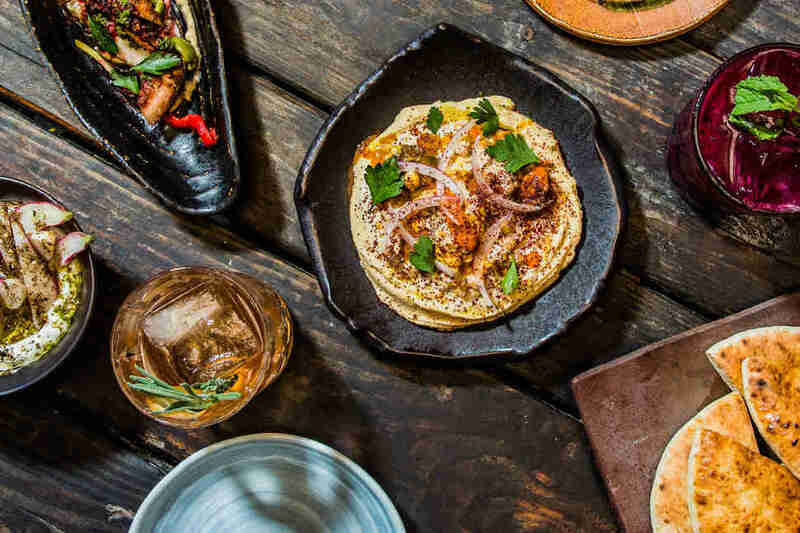 The restaurant helmed by Tomer Blechman of Lupa, Gramercy Tavern, and Cookshop, sets itself apart with its open kitchen, expansive backyard (in the warmer months), and a specific focus on hummus. It feels like the ideal neighborhood restaurant -- warm, reliable, and backed by a friendly staff. In addition to three different varieties of the mashed chickpea spread (including one with lamb shawarma), the menu features sharable dishes like house-made labne, grilled octopus, and herring crostini. Kick your meal off with a shot of vodka with pickled mushroom -- an ode to Tomer’s Russian relatives. The Office is not for anyone on a budget. This is an all-out, maximum splurge, forget-about-paying-rent experience. If money is no object, the meal is worth it. The speakeasy-style bar/restaurant on the top floor of the Mandarin Oriental hotel comes from the team behind Chicago’s Michelin-starred Alinea, and pairs boozy and inventive cocktails (like the Snap Pea with gin, chartreuse, sherry, lime, fennel, and soda) with elegant dishes like foie gras terrine, prime rib-eye tartare, and salmon rillettes. The standout is the vegetable cruidé platter -- a surprisingly beautiful composition of chilled vegetables served with smooth, compressed melon. Lucy Meilus is the former New York Editor at Thrillist. Now a freelancer writer for Thrillist and a senior editor at Refinery29, she is fond of the Taco Bell on 14th Street. Follow her on Instagram and Twitter.